Finally, you want to do your first independent dives and get to know the fascinating experience of free diving – diving without equipment for oxygen supply? 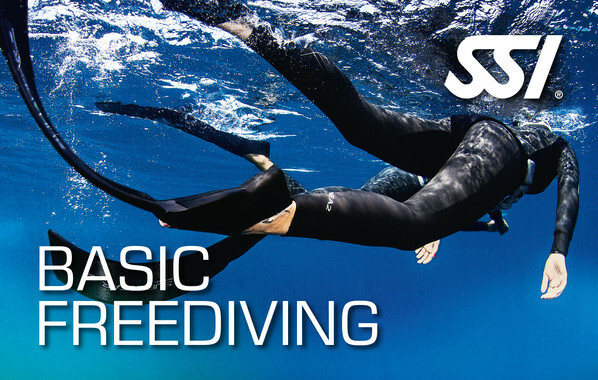 Then the Basic Freediving course from SSI is almost predestined for you. Here you will learn how to dive with your buddy to a depth of up to 5 meters. Safety is, of course, a top priority. Except for a minimum age of 10 years, there are no prerequisites for the course. Interested? Great! Then you should be glad to know that you can complete the theory lessons of the Basic Freediving course with us completely free of charge! Reason enough not to lose time and to plunge into the adventure of free diving!